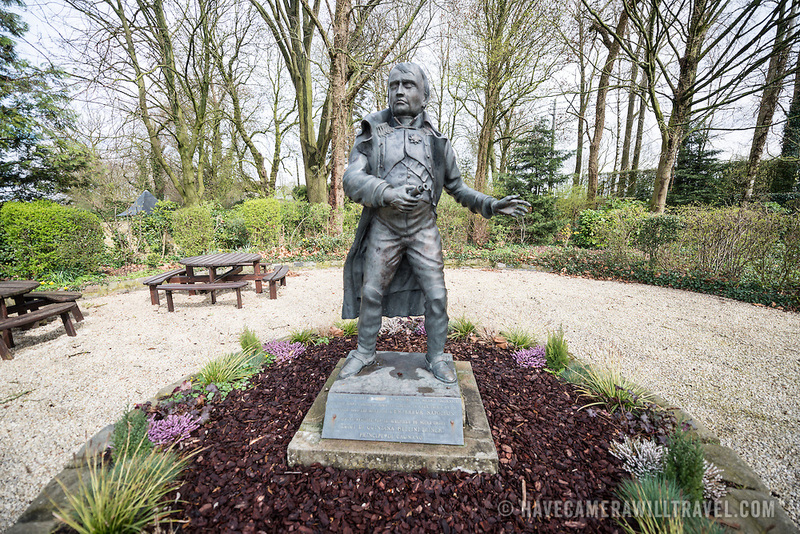 A statue of Napoleon Bonaparte in the garden at the farmhouse known as Ferme du Caillou. Next to the field where the Battle of Waterloo took place in 1815, the farmhouse is famous as the place where Napoleon spent the night before the battle. It is now a museum.